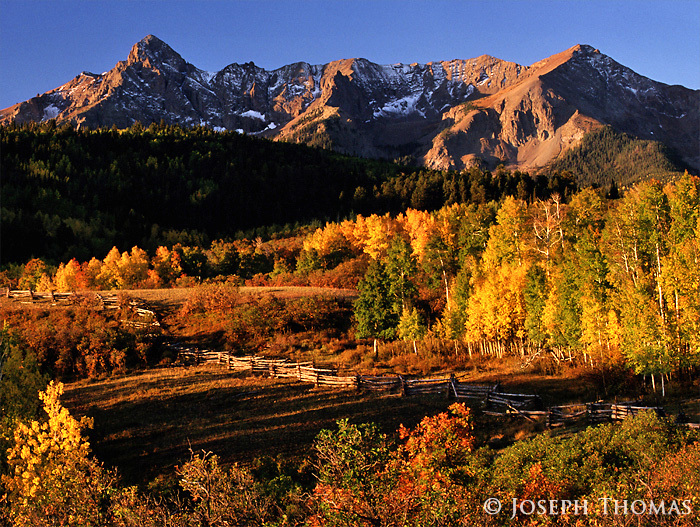 High peaks of the San Juans provide the backdrop for a riot of fall color near Ridgway. The aspen bole fence running through the ranch gives a bucolic feeling to the scene. Alas, the fence was removed several years ago, eliminating an idyllic photographic element.